One of the greatest aspects of Android is its open architecture that provides enough room for customization. Basically, you can change the appearance of your device just by adding wonderful wallpapers and customizing them with the required elements such as icons. Wallpaper will make your phone look sensational and there are several custom wallpapers on Android devices that will make the whole device appealing and personalized. Before downloading a wallpaper from the Play Store and using it on your Android device, make sure that it does not consume too much of your device’s battery life. Here are some custom wallpapers that you can download and use on your device to get the most out of it. 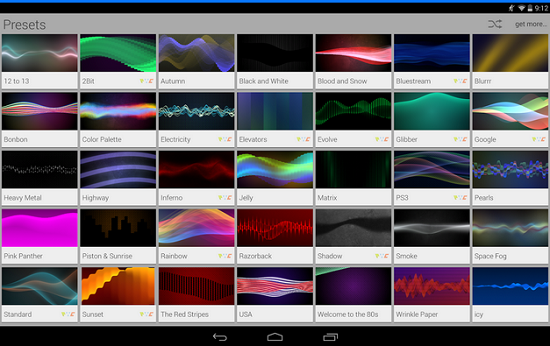 The 500 Firepaper app is one of the best wallpaper apps that can be used on Android devices. The most impressive aspect of this application is that you can specify how frequent you want the images to change. Also, you can select the categories in which you want the images to be selected. You can set the background image to change whenever you unlock the phone or when you tap on an image with three fingers. This way, your internal storage will not run out empty. The Cool Wallpapers HD application from is an application that stands out from the rest as it has a huge collection of images and provides easy navigation. Once you download the app, you will be able to see thousands of images that you can choose from. There are over 100,000 wallpapers available in the app and it is very easy and quick to find the right one that you want to keep as the wallpaper. 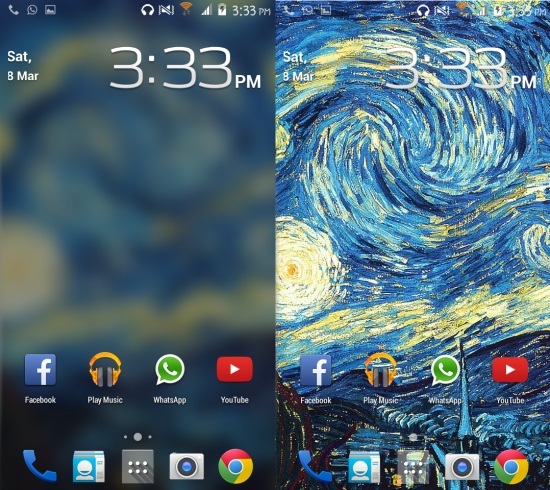 Muzei means museum in Russian and hence, the Muzei Live Wallpaper shows famous pieces of artwork and you can set a different background image every day. If you don not want to see artwork as your background, you can select the images from your gallery or other sources as well. The interesting feature is the blur option that will make sure that your background does not overpower the other elements on your home screen such as apps and widgets. You can see the full background without any blur by simply double tapping the screen. The Custom Beam wallpaper app has an effect similar to the phase beam live wallpaper. It also comes with several options that can be tweaked unlike the other app. The purpose or blue default look can be changed as per your choice. There are settings to control the speed of the animation, shape of the lens flare effects and even the angle of the color gradient. The effects get modified based on the battery status reminding that it is time to connect your device to a charger. Wave live wallpaper has several settings and it keeps producing a series of smooth waves that glow across the screen. 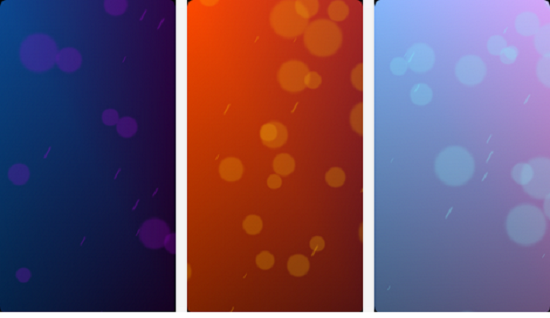 You can set the colors, speed, and magnitude of the glowing waves and also make them produce different effects. As there is an extensive range of settings, you can easily tune it to your device to make it smooth and power efficient. The app looks impressive even when it is set at the modest frame rate and when the detail level is turned down. Notably, the higher settings will not cause any severe battery drain that is quite impressive. 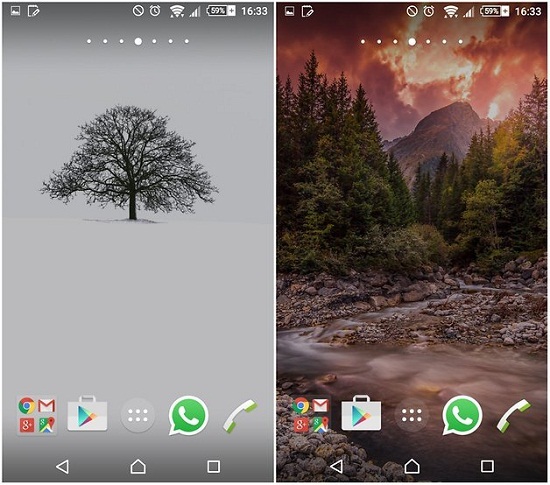 You can choose to select wallpapers from your gallery, live wallpaper or usual wallpaper. You can do so by pressing the menu key that will bring an option to choose the wallpaper. You can also tap on your home screen that will show the three wallpaper options mentioned above such as Gallery, Live Wallpapers or Wallpaper. Tap the desire option and the wallpaper that you want to use. These are some of the applications that help in transforming the look of your smartphone and allow you to carry out more options related to customization to your device.